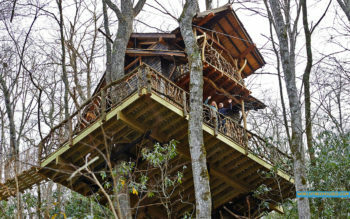 I'm the owner of World Treehouses, and I build treehouses in Asheville because I live here already, because I love it here, but most importantly because the forests of western North Carolina inspire me. After working with forests and trees for years, after building in the trees and sleeping in the trees, I have noticed that forests are beautiful examples of thriving, balanced community. 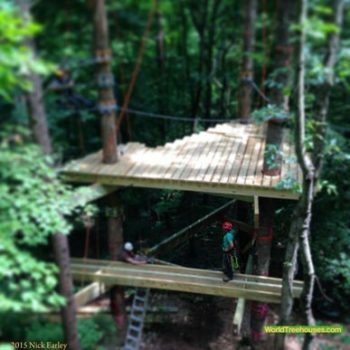 At World Treehouses, we believe that our modern world can learn a great deal from the forest. What might change if each person in the USA spent time, observing, listening and being aware in a forest for just half an hour each week? Better yet, what if hundreds or thousands of us had access to a treehouse, to live, play, meditate or just connect to nature by spending time in the branches? 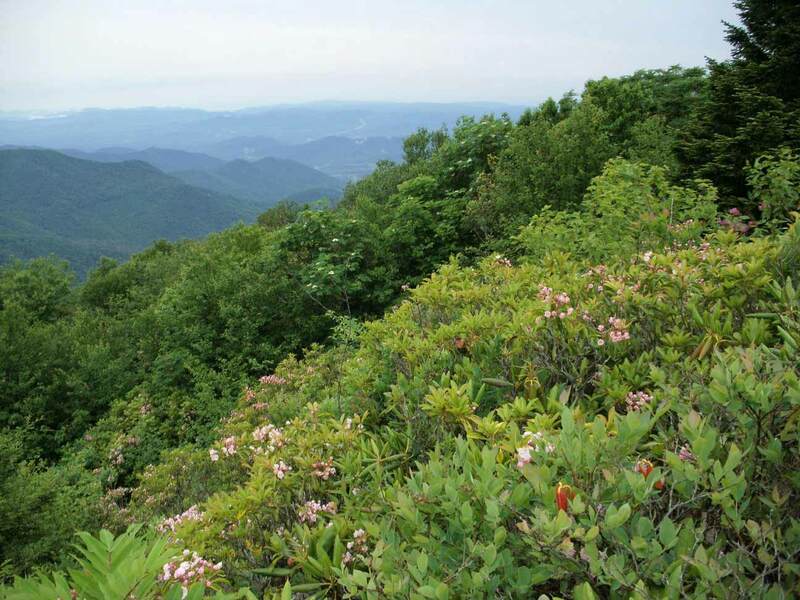 More species of plants can be found in the mountains of North Carolina than in any other area of similar size in North America. Botanical studies have documented over 4,000 species of plants, 2,000 species of fungi, and 500 species of mosses and lichens in the region. The North Carolina mountains are home to more species of salamanders than any other place in the world. More old-growth forest stands survive in the mountains of North Carolina than in any other Southern Appalachian state. The Great Smoky Mountains boast more than 1,400 varieties of flowering plants and 100 species of trees (more species of trees than the whole of Europe). The Asheville and surrounding western North Carolina landscape is full of superlatives: the highest mountain (Mount Mitchell), deepest gorge (Linville Gorge), and highest waterfall (Whitewater Falls) in the eastern United States; the oldest river in North America (the New River); and the two most visited National Park lands in the country (the Blue Ridge Parkway and the Great Smoky Mountains National Park). No wonder this land and these forests were the inspiration for me to start World Treehouses! Want to learn more about preserving the generous, biodiverse forests of the Asheville area and the Southeast? Visit our friends at the Dogwood Alliance, and consider donating to their cause. Spending time in our biodiverse forest — or even in a tree in your backyard — is a great way to learn about balanced relationship. Just by being around our green friends, we experience how they interact with soil, insects, sunlight, rain, lichens, birds and animals. A great way to enjoy the trees and learn from them is to spend time in a treehouse! 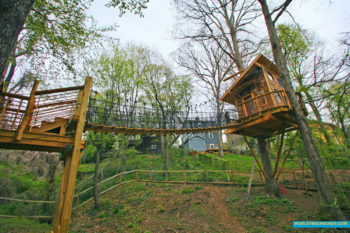 Do you want to consider a treehouse project? Please fill out details on our Visitor Information Form or just contact us and we'll call you back.